Q. I am a corporate attorney with good credentials. I went to a top local law school, graduated with honors and I work for a respected mid-sized firm. I like my work, but I feel overwhelmed by the demands and how little personal time I have. In short, I would like to reduce my hours. My firm has accommodated lawyers in other practice areas who have requested a part-time schedule, but up until now I have been afraid to broach the subject with the partners at my firm. Part-time seems like an option that has only been granted to working mothers and I am neither a parent nor female. How do I make a case to my firm to allow me to work part-time? Are there any firms that might hire me on a part-time basis. A. You are not alone in your desire to achieve more balance in your life. The need for more part-time options in law firms has been addressed several times in recent years in studies done by the Boston Bar Association and in articles in the national legal press. In general, it is widely recognized that there are many more attorneys looking for part-time options than there are jobs available. Coming to a firm as a lateral in a part-time capacity is particularly difficult. You are correct in your perception that in most cases, part-time work situations in the law have been seen as an accommodation for working mothers. In addition, law firms have typically been more receptive to granting part-time status to an individual with a proven track record at the firm. In other words, part-time work options have been principally treated as an "earned privilege" for working parents. Other professions, including the accounting profession, have been quicker to respond to the need for alternative work situations. Deloitte & Touche, for example, has put in place a model program to promote the retention of star women in the organization. The cornerstone of their initiative has been granting flexible work options to valued members of the organization (male or female). I mention trends in other professions because the legal profession does tend to follow the pack on management issues. In coming years, firms will increasingly adopt flexible staffing solutions to mimic what is happening in the labor force at-large (i.e. wait around long enough and part-time is likely to become a more viable option). This of course does nothing to address your current situation. The good news is that you are in a hot practice area and being in a hot practice area gives you leverage. But having skills in a practice area that is in demand (i.e. real estate, corporate or IP) does not ensure that a firm will bring you in on a part-time schedule. Most firms believe that only certain types of work can be done on a less than full-time basis. Some examples may include real-estate leasing, commercial lending, securities compliance, patent prosecution, licensing or tax advisory work. These are areas of practice that involve few last minute deadlines and more limited and predictable client contact. In your case, corporate is a hot practice area. But only certain aspects of corporate practice have predictable deadlines and clients that are not so demanding. These include commercial lending, corporate compliance, general corporate advisory, and, to some extent, licensing. In contrast, equity financings, IPOs and mergers and acquisitions are less amenable to part-time scheduling because of the closing deadlines and the likelihood that clients will want the work done right away. If you are willing and able to do the "right" kind of corporate work, I believe that with your credentials you stand a good chance of finding a firm that is willing to hire you on your own terms. In practice areas where there has been a shortage of stellar talent, firms have been willing to cut deals with lateral hires. For example, I know of several firms that have brought in real-estate laterals to fill "staff attorney" positions. These positions are considered off-track and have reduced hourly requirements. This may mean working 9 to 5 from Monday through Friday (a full-time position in the minds of the majority of the work force but an improvement for many lawyers). Some of these individuals are working even fewer hours. Before you begin to look outside your firm, I think that you owe it to yourself to further explore options inside your firm. It sounds like there is some precedent for part-time work arrangements at your firm. Even if these arrangements have only been granted to working mothers, at least the firm is used to dealing with part-time professionals. The advantage of starting at your own firm is that you are already a known commodity. You do not have to prove yourself again. Staying put also means it can take you less effort to get what you want (don't underestimate how time-consuming a job search can be). You probably have some leverage if the firm is already happy with your work. You might also point out in a diplomatic way that it makes much more economic sense to work with you on this than it does to spend the time and money to replace you. Before you approach your superiors, come up with a written plan. Indicate how many hours you plan to bill, what hours you plan to be in the office and how you can make yourself available when meetings or phone calls need to happen on your off hours. A lot of research has been done by management consulting firms that points to the correlation between flexibility/part-time work options and retention of highly paid professionals. The recent study by the BBA entitled "Facing the Grail -- Confronting the Cost of Work-Family Imbalance" presents a strong argument that associate retention makes good business sense. Get copies of this report and of articles that cite research that has been done on flexible staffing. Look for strong anecdotal evidence. A good place to visit is the Web site of a human resources consulting firm in Boston called WFD (www.wfd.com). Another resource that you may want to check in deciding how to pitch your part-time plan is "Breaking Traditions," a book published by the American Bar Association. For anecdotal evidence, see page 36 of the January 2000 issue of Working Mother magazine for an article on how Terry Murray, CEO of Fleet Bank, came around on the issue of flexibility. In closing, I think you should consider yourself fortunate and know that with some persistence, you will get what you want. 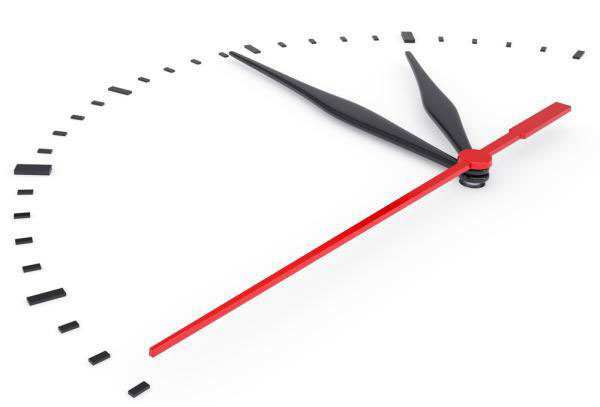 While part-time is not an option that is available to everyone, attorneys who practice in a hot practice area and do work with predictable deadlines are most likely to find these situations.